I’ve traveled through numerous countries, visited 60+ UNESCO sights, shopped on some of the world’s most famous streets, eaten at world-renowned restaurants, walked in historical steps and have heaps of amazing photographs. You can say life has been pretty great to me. BUT, traveling isn’t all about “the good stuff.” Traveling also gives you the “I’d rather scoop my eyes out with a spoon than hang out with YOU” situations, and that my friends is why I’ve decided to do a series of blogs dedicated to YOU, the nightmare travel companions! It’s a topic any traveler can relate to. Whether it be a travel buddy you left home with that annoys the crap out of you, the roommate in your hostel or the overly-hyper guy traveling with you in your organized travel group, it happens. While it’s the single most frustrating thing during the time it is happening, these experiences make for great writing and storytelling after the fact. Editors note: all names have been eliminated to protect the identity of the offenders. Our first stop was a sweater shop, where Suzy stood and stared at a wall of wool, freakishly stating (with a look of death in her eyes) that she neeeeeeeeeeded to buy wool. Think of the little boy from ‘The Shining’ doing his redrum thing, and you’ve got Suzy pictured. With a knitted hat in her hand, Suzy repeatedly said she wanted to buy the warm head accessory, but didn’t understand why she should seeing as she could just knit it herself. After internally arguing with the voices in her head and insulting anyone who would purchase a pre-knitted item rather than knit it themselves, Suzy exclaimed she herself was too lazy to knit it and had decided to purchase the pre-made hat. Staring aimlessly at the wall-o-wool, Suzy asked my opinion on what wool she should purchase, and I knew right then and there this was about to be one hell of a day. For starters, my biggest concern was getting to the pub and having a beer, not what type of wool she should buy. I don’t know the slightest thing about wool, other than it comes from sheep, so my opinion doesn’t count. Suzy then explained that she needs the orange and red wool because back home in the States she does Civil War reenactments. When she finally decided on what wool to purchase, Suzy became pretty infuriated that an employee wasn’t standing guard at the register awaiting her purchase, and when the man finally came over to help her, she grilled him a bit on the length of the yarn and what not. After the purchase, she studied her receipt, called me over and asked why the yarn was $1 more than the sign said. I told her I had not inspected the prices of the yarn and that I didn’t know, but at that point she had questioned the lady now standing in her path of wrath. I quickly exited the store and watched the madness from the doorway, as I was too frustrated and embarrassed at that point to stay inside. The lady calls over the guy who did the original transaction, and the whole process takes about seven minutes. Yes, seven minutes all over ONE dollar. Just when I was about to give her five of my own dollars to shut her up, the poor, timid man finally figured out how to refund her, which was when Suzy took the money and said “sorry.. it’s really not that big of a deal.. I mean, it’s only one dollar.” It’s ONLY one dollar. Exactly. Happy to leave the dollar issue behind, we began roaming around the town when Suzy started chasing down any cat she saw, screaming “I LOVE CATS”….. “OH MY GOD I HAVE TO PET THE CATS”….. As Suzy ran towards the cats, the smart little devils scattered into oblivion, leaving me to deal with her. After a couple failed attempts of pummeling these innocent fur balls, we searched for a place to have lunch. As our search turned up empty due to the fact we were basically in the middle of nowhere, Suzy stated she had to go to the ATM. We were in front of a grocery store, and Suzy stomped her way in, accosting the first human in her path and rudely asked where the ATM was located. The lady said it was in the back of the store, and Suzy went, only to stand in front of the cash dispensing machine to complain about the thought of the ATM possibly eating her card. Just as I thought she was done retrieving the monetary notes needed for our lunch that was in no sight of ever happening, Suzy said she had to buy something. Thinking she needed toothpaste, shampoo or maybe even some feminine items, Suzy shocked me more when she grabbed a couple of bags of cat food. Apparently, Suzy wanted to “have food to feed the stray cats,” as she happily stated as we were exiting the market. Now let me tell you this: we were on an island. An extremely tiny island. 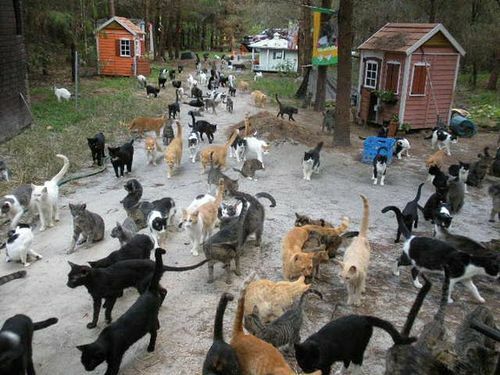 There were no stray cats. The cats she was chasing had collars on, hence the reason I say there were no stray cats. At no point from that moment on did a cat even cross our path, but hey, she was armed and ready to feed some. We finally found a pub, went in and painfully sat. The pub was playing opera music, and she freakishly stated “oh my God… I wish I had a viking hat… I would jump up on these tables right now and sing!!!!!! !” I just sat in silence. Actually, I sat in silence for a good hour and a half, until others from our tour thankfully came into the pub and saved the day. As soon as they sat, I got up and sat next to them, happy and grateful to have a normal human to converse with. I knew that moment how the pilgrims felt when they ate Thanksgiving dinner; I was THANKFUL. Suddenly, more and more of our tour mates began to pile in; as more arrived, Suzy would yell out “my CD is on… they’re playing my CD,” in response to the opera music playing. Everyone was ignoring her wondering what the feck’ she was talking about. Then, in the middle of NO WHERE, Suzy brought up the single, most odd conversation I’ve ever heard be brought up in a pub while everyone was eating: “my father is friends with a bunch of anesthesiologist who all die… they all commit suicide.” (REDRUM….. 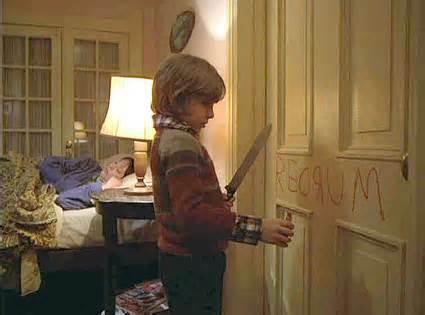 REDRUM!!!!!) So incredibly weird. No one answered her. After a few minutes of being ignored and possibly thinking that she hadn’t known us long enough to let us all in on her little sick world, Suzy said she wanted to go walk around and asked if I wanted to go, which I quickly said NO. On the way back to the ferry after everyone was finished at the pub, I along with two other lovely ladies from the group watched as Suzy attempted to feed her bags of cat food to a dog playing in the harbor. The dog wouldn’t eat it. They say animals have heightened instincts, and clearly the cats and dog knew to RUN. The ladies also told me that the night before our tour met up, Suzy was staying in the same hostel as they were, and asked them if it was OK if she didn’t brush her teeth. Call me crazy, but if you don’t want to brush your teeth, just don’t do it; don’t ask for permission to not do so… your hostel mates don’t care. Needless to say, our paths did not cross again during the final days of our tour, and all ended well for the cats on the island. 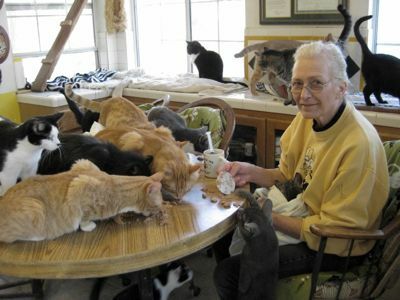 Cheers to the crazy cat ladies traveling the globe. I salute you! So lets hear it! I want to hear about YOUR nightmare travel companions and/or the oddballs you’ve met on the road!!! Watch out for part two: THE DRUG DEALING HOSTEL ROOMMATE THAT REEKS OF DIARRHEA! 9999 The tiny facts, such as material bows or embroidery allow for them to give a particular evaluate of panache for the most standard every outfit. We had been like “ok, it’s possible to marry Harry!” Would possibly she at some point be Prince Harry’sthen? “Nah! No!”. Indeed! What a day that was! I needed some meds when I was done with it! This is hilarious. Especially the fact that she needed that dollar so bad yet turned around and wasted money on cat food. I have actually left people I’ve met traveling because they drive me nuts! I feel bad about leaving them but I travel solo for a reason! The most recent on was in Portugal and this girl clung to me out of no where! She invited herself out with me and another traveler I met. She went on and on about how she wanted to go home because she missed her boyfriend and she’s “too old” to travel alone anymore because it’s no fun… I, number one, don’t care, and number two think she’s crazy because she’s my age and I love it! Anyways, at the bar that night she had one drink and passed out… Then she told me she took a painkiller… why you would do this before you go out with strangers, I have no idea. She then tried to tag along with me to my next destination the following day but she said she wanted to hitch hike and wanted me to do it with her. I have no problem with this but I wasn’t about to waste a whole day trying to make it to the next city when I had money for a bus ticket. After a lot of thought and encouragement from my friend that also witnessed this behavior, I decided to wake up really early and catch the bus without her. Oh, and the hostel didn’t have room for her the last night so she slept on the couch in the lobby that night… I’m not sure what these people are thinking but it sure makes for a good story! Yes, thank you! Spending 7 minutes to retrieve $1 only to spend more than that on cat food! Luckily you escaped the clinger! I had a clinger while in Dublin; this guy kept inviting me out with him, his girlfriend and a group of people they met while staying there. I had a drink with the whole group at the hostel bar one night, and they were very nice people. But after drinking all day, I just didn’t want to go out. He kept popping in the hostel room to see if I was there or ready to leave yet. This went on for three days. I felt like my mom was there checking on me to make sure I hadn’t snuck out of the house. Like you, I just want to be a solo traveler with no one to check-in with, but damn, it DOES make a good story! Thanks for sharing!